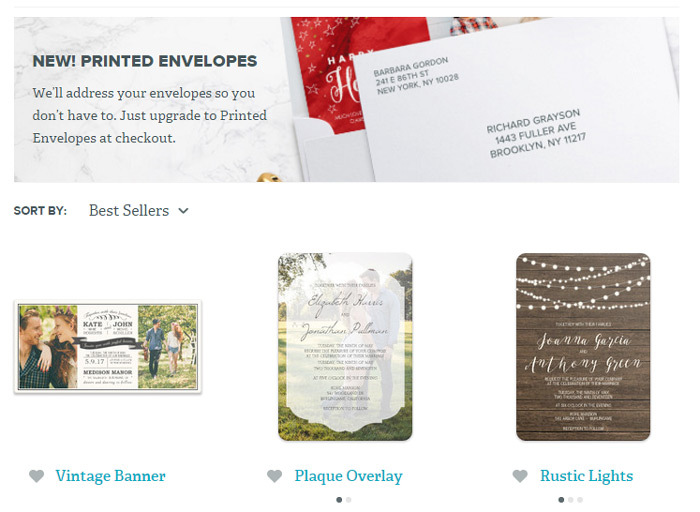 When you’re ready to send a wedding invitation, you have about a million choices. 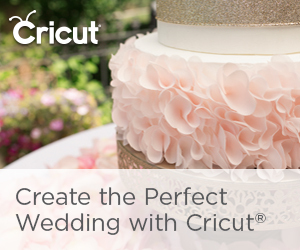 Expensive, inexpensive, simple, ornate, rustic, elegant…you name it. It’s out there. 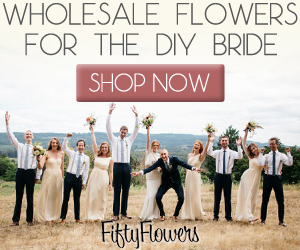 When it comes to saving time, however, there are options for having things done for you, which is a great thing for busy brides and grooms! 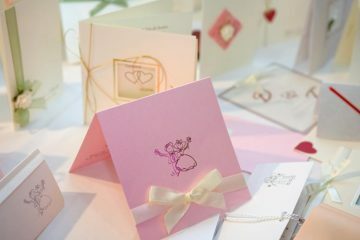 Here is an online wedding invitation round-up sharing some great ideas for how to streamline the wedding invitation process, and we hope they help you! Leave a message below if you’ve used or plan to use any of these services – we want to hear about your experiences! This post contains affiliate links – if you purchase anything from those links, we receive a small portion of it. These proceeds directly pay for the hosting fees associated with the site and we thank you so much for contributing! I must be totally honest, this is my favorite idea. 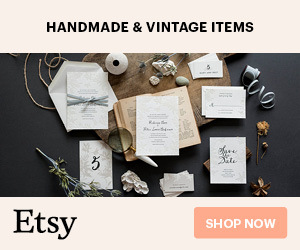 I would have to sit down and calculate the actual cost of ordering invitations, stuffing them, addressing them, adding a stamp and then getting them to the mailbox vs. having Postable do EVERYTHING for about $3 per invitation, but I bet the price would be about the same. You can manage your address book on Postable.com (which I started and now I keep track of everyone’s birthdays on my list! ), then have your invitation mailed at the appropriate time. it doesn’t get much easier than that! Starting tomorrow, 11/24 through 11/30, use code ‘HOLIDAY ‘ to save 15% off of everything! I’ve personally used Postable a number of times for birthday and holiday cards, and even though it feels super lazy, it makes the recipient feel super-special. 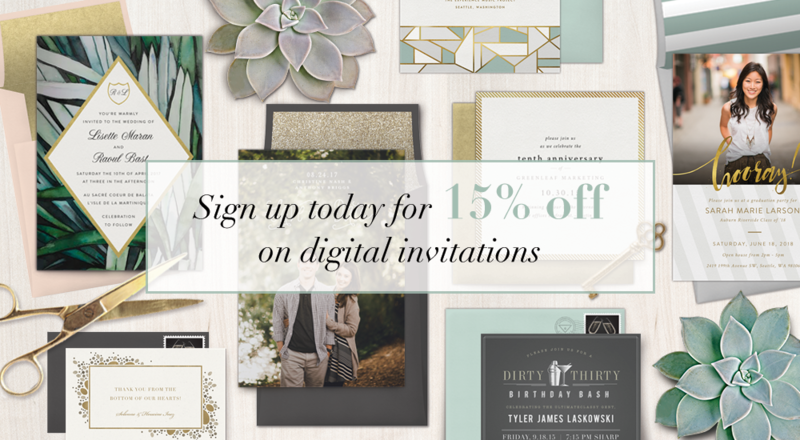 The perfect invitation can set the tone for the perfect event — that’s why Greenvelope wants to introduce you to their awesome selection of designer digital invitations with 15% off for first-time users. 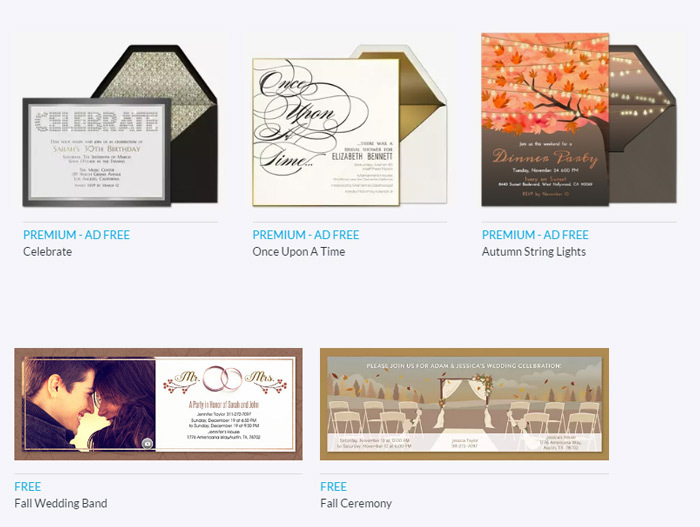 From weddings and galas to baby showers and beyond, whatever style and budget you desire, there is an invite on Greenvelope that’s perfect for your gathering. 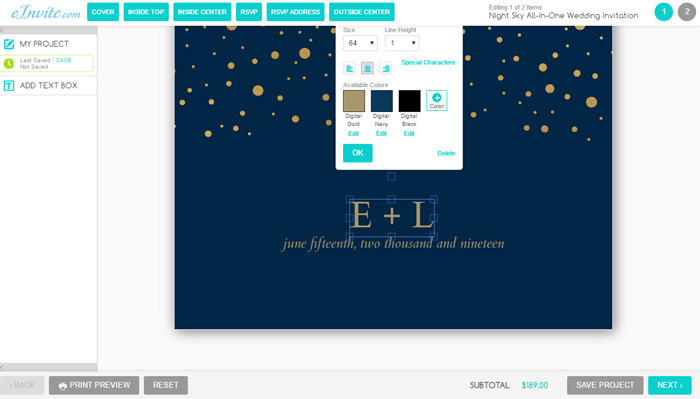 To get started, simply 1) Choose a design, 2) Customize it to fit your event 3) Build your guest list and 4) Send straight to your guest’s emails — it’s that easy! 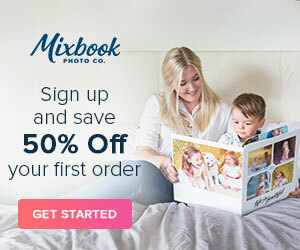 I’m a huge fan of Mixbook, because that’s where I got my invitations and my wedding album. I thought the prices were the best I found for the highest quality, and there’s almost always discount codes to be found. 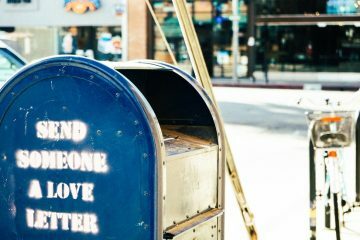 They won’t mail the cards for you, but they can address the envelopes (saving time and money)! 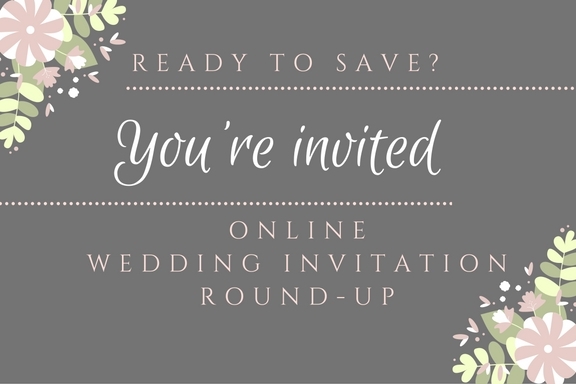 If you want to keep costs truly low for your wedding invitation budget, check out sending actual online-only invitations and receiving RSVPs through evite.com. It’s the greenest option by far, and extremely cost-effective. 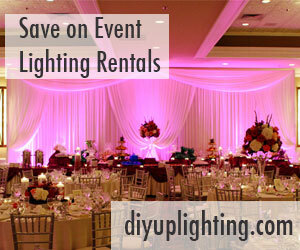 Check out their free and premium options at Evite.com. 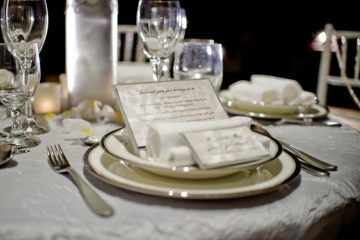 The invitations on Einvite are unique and beautiful, and they’ve got a ton of extras that are part of the invitation itself. The ability to send the invitations for you is probably the best part. 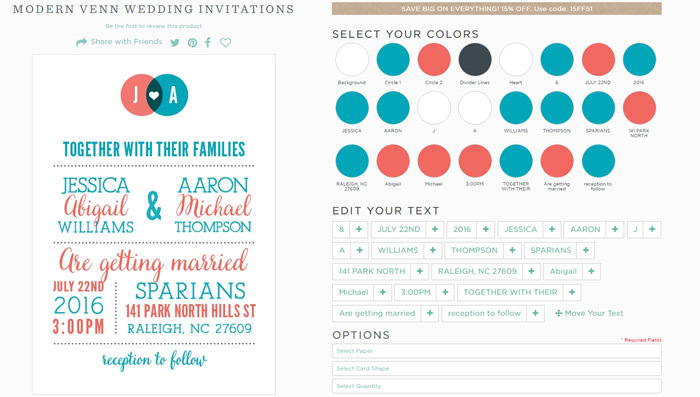 You can customize the invitation along with the RSVP, directions and more. 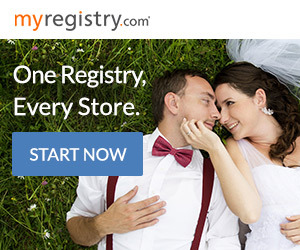 Another invitation company you may not have looked at is Basic Invite. 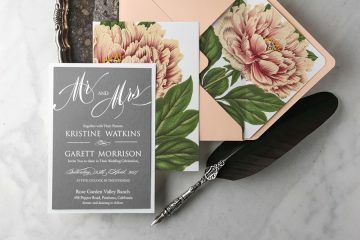 You can create totally custom invitations nearly instantly, and they’re absolutely gorgeous! Here’s an idea of what the process looks like – check out how freaking simple it is! 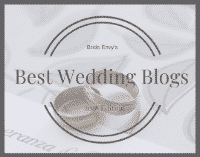 Wedding Paper Divas – starting 11/25 and going through 11/27 (two short days, so get on it!) 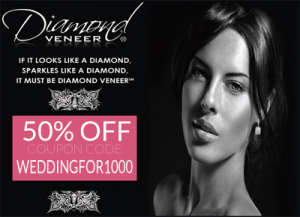 save 30% on your order, 50% off of custom printed envelopes and get free shipping. 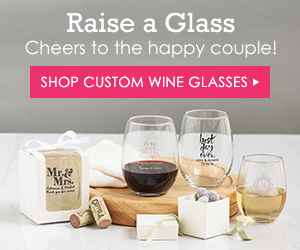 Use code BLACKFRI –> click here. After 11/27, get 15% off of your order and free shipping through this link, using code ‘AFFWPD15FS’. 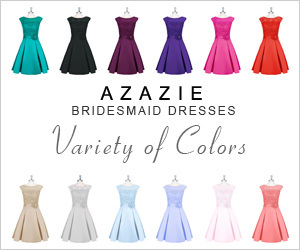 You might consider checking out Zazzle’s Wedding Invitations – it’s not just a website for making custom shirts and bags!